Facebook Messenger is a curious app. It's a separate window inside a desktop browser, but a stand-alone mobile app. On mobile, Messenger shines as a platform for communicating with friends through text-based messaging, voice calls, and video calls. Most people use Facebook Messenger on their mobile devices. Messenger cannot be used through the Facebook mobile app. To use Messenger on a mobile device, install the mobile app version of Messenger. The Messenger app functions similar to most mobile-messaging services and is integrated deeply with Facebook's network graph. When you open the app, you'll see a familiar Facebook look and a familiar way of doing things. Messenger is your go-to app when you want to view your message history, initiate conversations, participate in group chats, play online games with friends, and make new friends. To send a friend request to someone, scan their Messenger code. A Messenger code is the Facebook version of a QR code. Chat histories sync between the mobile and desktop versions which provides a seamless user experience. Facebook's experience can vary based on the platform you use. 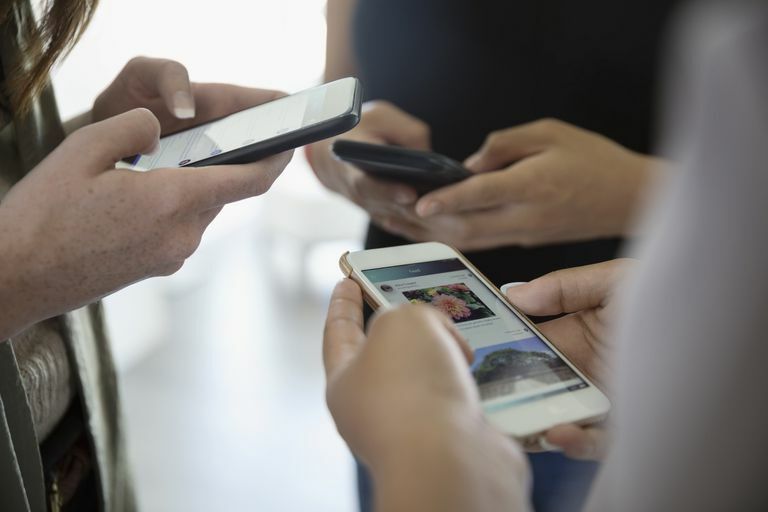 The iOS and Android versions require slightly different permission settings and require different levels of access to the phone's core messaging utilities (like the dialer). Despite the relative integration between the Messenger app and your phone's operating system, however, you'll always be able to use the Messenger app to initiate Voice-over-IP calls, video chats, group text chats, and similar features. After you log into Facebook, you'll see the Messenger icon in the blue toolbar. Select it to open your message history, which is arranged in reverse chronological order. Select a message to open the thread history in a small window that pops up from the bottom of the browser window. From that window, enter a message. You also have the option to transmit stickers, send money, play games, and post photos. Select the white icons in the top of the chat window to initiate a voice call using your computer's speakers and microphone, or a voice call using your webcam. The Settings icon reveals a fly-out window with options to change the chat color, give the chat a nickname, create a multi-person group chat, mute future notifications, ignore future messages, block a sender, or report an error to Facebook. Part of the world's largest social platform. Archive messages and personalize individual chats. Behind-the-scenes location tracking uses battery power. Doesn't use the same permissions as your Facebook account. After Facebook's Dumpster fire of 2018, when myriad privacy and security lapses gained traction in the mainstream press, power users became skeptical of the platform and its growth-at-any-price strategy. On the plus side, Messenger is free and easy to use. It offers fun things like stickers and emoji, plus an easy way to chat through voice and video sessions. And, it's a convenient way to send cash to friends. And speaking of friends, you probably have a few friends that use Facebook and most everyone is familiar with the name, so new platform friction — the cost of asking your friends and family to migrate to the Next Big App — is non-existent. But that's the downside, too. Of all the things Messenger does, it separates itself from other messenger services. Text chatting replaces MMS. Video chatting replaces iMessages and Hangouts. Voice calls replace your phone's native dialer. Sending cash replaces Venmo, Paypal, and Zelle. Having all of these features in one place is convenient, but keep in mind that while you're signed in to the Facebook platform, Facebook collects data from your activities. Then, Facebook uses this data to personalize the ads you see. From a technical perspective, Messenger is a handy swiss-army-knife service, capable of doing a lot of things competently, but it's not really best-of-breed for any specific communication task. There are better apps that are optimized for specific features such as MMS, sending cash, and video conferencing.